South Myrtle Beach golf courses feature the low country lifestyle that has old rice plantations dating back hundreds of year, large oak trees with Spanish moss and of course the marshes that frame the majestic saltwater that draw the golfers into the golf courses located in the South Myrtle Beach area. South Myrtle Beach, which consists of the area south of the heart of Myrtle Beach including Surfside, Pawleys Island, Litchfield and even Georgetown, is quite different than Myrtle Beach. There is a quiet, laid back feel in the area and that translates into an enjoyable round of golf at the south Myrtle Beach golf courses. 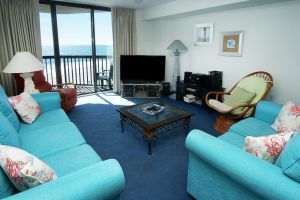 South Myrtle Beach is where you will find some of the area's most upscale golf, dining, and lodging options. South Myrtle Beach golf courses offer a more laid back and stress-free round, providing golfers the ability to live low country lifestyle, even if it’s only for a few hours. Included in the natural landscape of moss draped oak trees, saltwater marshes, and water hazzards are some of the most beautiful golf holes that you could dream of playing. There aren’t as many south Myrtle Beach golf courses (only 18) as the North and Central areas of Myrtle Beach, but the quality of these courses is high as many are ranked among the nation's best courses by print publications like Golf Digest, Golf Magazine, and Golf World. Many of the top rated south Myrtle Beach Courses are located just a few miles and minutes apart from each other: Caledonia, True Blue and Pawleys Plantation. Despite being close and sharing the uniqueness of the low-country feel of the south end, each of these south Myrtle Beach golf courses layouts features a distinctive layout and personality. As with each designer, they leave a different mark on each of the golfers that play them. Some of the names that you will recognize from the south Myrtle Beach golf courses are Nicholas, Fazio and Maples. 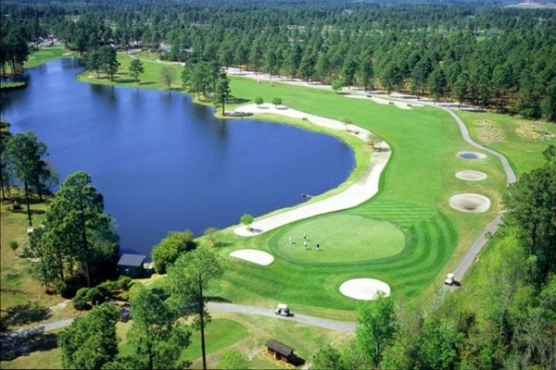 A huge advantage of the Myrtle Beach area is the large variety of golf courses offered to the visitors – each creating their own unique experience. Explore all that the south Myrtle Beach golf courses have to offer and include at least one in your next Myrtle Beach golf package. We know you’ll be glad you did.